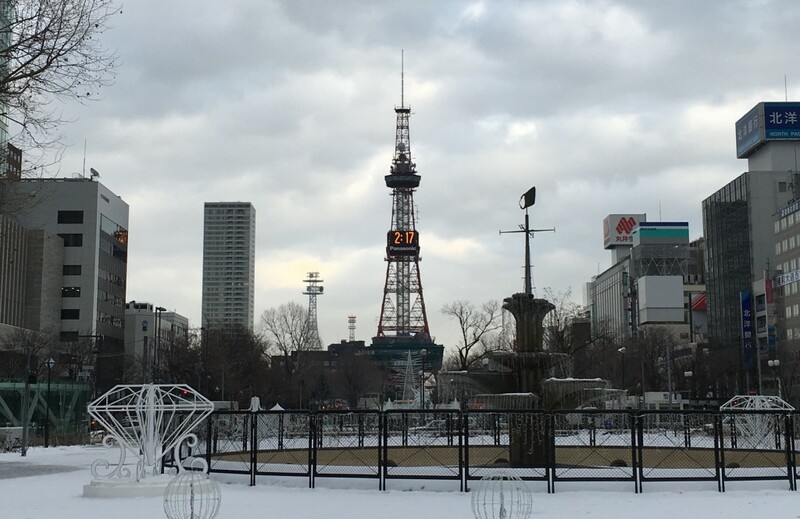 On Thursday, January 14, 2016, the STORM team presented several talks during the Second Symposium on High Performance Computing for Weather, Water, and Climate at the American Meteorological Society 96th Annual Meeting. Emergency managers, weather forecasters, and GIS specialists show a great interest in obtaining storm and non-storm related surge and wave information for their daily work. Online mapping interfaces for visualizing ocean model results and predictions are as valuable as GIS based files which allow the end-users to produce their own maps and imagery. It is with great proud to announce the CERA release version for the hurricane season 2015 that will provide the ADCIRC results as GIS compatible shapefiles. 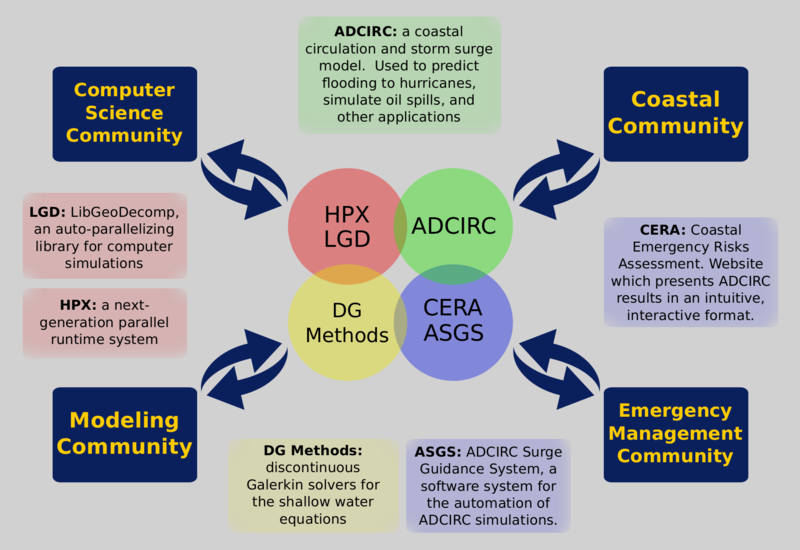 This version is available for the CERA Northern Gulf system at http://cera.cct.lsu.edu and the CERA Atlantic Coast system at http://nc-cera.renci.org . The CERA team always seeks productive feedback from clients. We endeavor to understand how their experience has been and how it can be improved. We take the requests for new features very seriously. Providing the ADCIRC model results as GIS shapefiles and making them available via a download functionality on the CERA website will fulfill a major request and is a critical and important step in the entire process of a real-time storm guidance system and an essential precondition for a wide acceptance in the community. We have worked hard to produce clean geometries, multi-polygon features, an adequate splitting of the model output into shapefile classes and much more. The new CERA version allows you to download the data as shapefiles with an accompanying color file (lyr) to directly open the data in ArcGIS. You will also be able to save the data in the NetCDF file format. We are looking forward to guiding you through the hurricane season 2015! 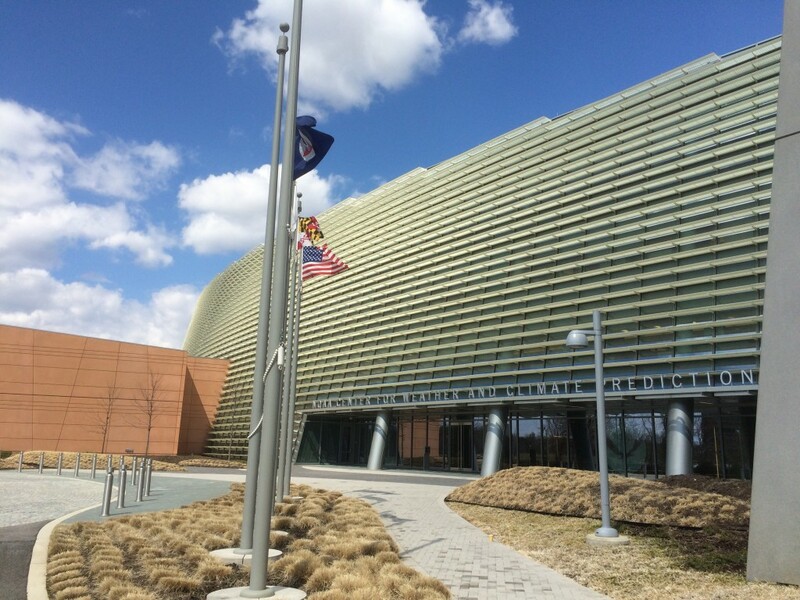 The 2015 ADCIRC Users’ Group Meeting was held March 30th and 31st at NOAA’s Center for Weather and Climate Prediction. The facility (both inside and outside) was beautiful, and Jesse Feyen did a fantastic job organizing and hosting the event. Several members of the STORM team were in attendance. 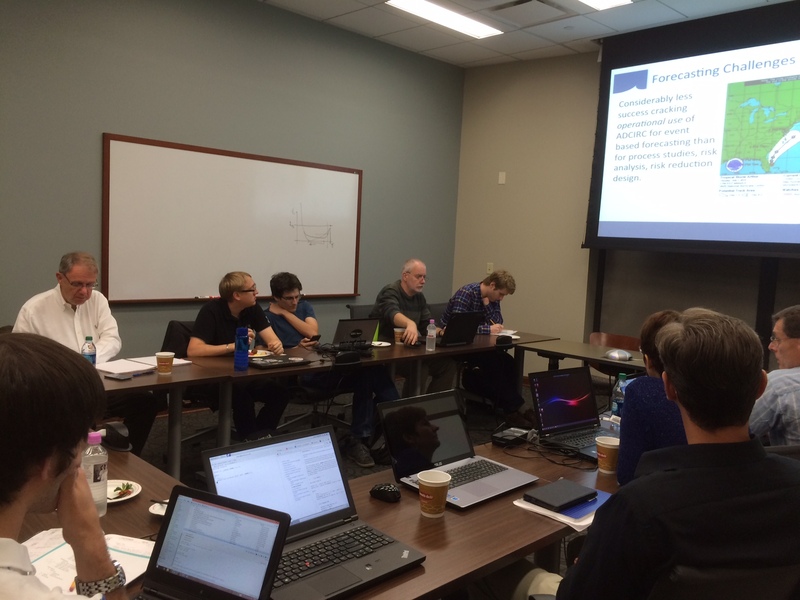 Over the Mardi Gras break, the STORM project was represented at the 2015 SI2 PI workshop on software sustainability. In order to prepare for the workshop, we spent some time outlining the motivation, goals, and impacts the at this point of time in the project as well as graphically displaying how all the different components of the project are inter related. We summarized these concepts on a poster which captures the highlights of our work. Motivation: We intend to reinvigorate ADCIRC by leveraging the scalability harnessed by HPX, an open source C++ runtime system, and improving the algorithms which provide the foundation of the model. Impact: STORM will have a large impact on the communities that it comes in contact with including reseachers who study coastal modeling, discontinuous Galerkin methods, and unstructured grids. 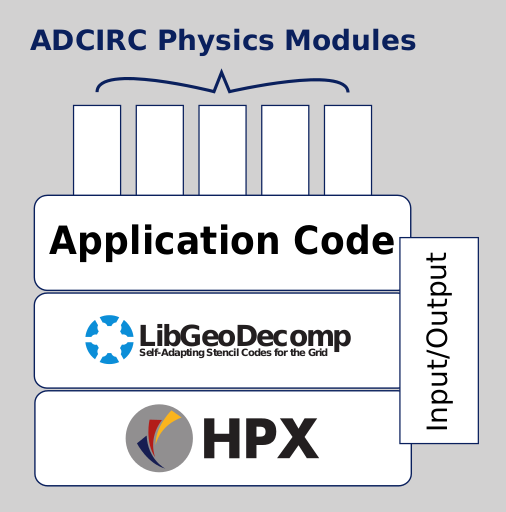 Consumers of ADCIRC hydrodynamic output such as biologist, ecologists, coastal engineers, and emergency managers will benefit from the improved resolution and fidelity built into the code base. Finally, this project will introduce daily simulations of Louisiana coast lines which will be made available to communities such as fishermen and wetland researchers who could benefit from this information. The Coastal Emergency Risks Assessment (CERA) team provides guidance about storm surge and waves for the Northern Gulf and the Atlantic Coast through its online portal (http://coastalemergency.org). In addition to that, we are working towards the goal of providing all layers in the shapefile format compatible with GIS software. This feature will be available for the hurricane season 2015. We use the Python Matplotlib library (http://matplotlib.org/) to convert the ADCIRC NetCDF format into contours which can then be used to generate shapefiles. While working on the algorithms, the CERA team has discovered some specifics which are essential to produce clean geometries. Clean geometries in GIS terminology do not include any self-intersections, overlapping, or duplicate features and ensure the hassle-free usability for GIS specialists and emergency managers. The CERA team would like to thank Ian Thomas from the matplotlib developer team for helping us create useable and valuable contours and geometries. Matplotlib ‘tricontourf’ expects a data array, but does not support masked arrays. If you pass a masked array, it will be ignored. The triangulation should only contain triangles with valid data at all three vertices. The solution is to either remove invalid triangles from your ‘element’ array before creating the triangulation, or set a mask on the triangulation once it has been created. The created contours will contain one or more polygon exteriors and zero or more interiors. They can be in any order (an exterior is not necessarily followed by its interiors). This has to be explicitly tested in your own script. The CERA code takes care of this issue. We provide the CERA Matplotlib contouring script as Open Source on the CERA GitHub website https://github.com/CERA-GROUP/cera_contour. We have developed a “proxy app” which emulates the communication patterns of ADCIRC. gameoflife_adcirc uses LibGeoDecomp, an auto-parallelizing stencil library, and HPX, a next-generation parallel runtime system, to manage parallelism and boundary exchange. A decomposed ADCIRC computational mesh is used as the basis for a very simple “game of life” style cellular automaton kernel written in FORTRAN. This proxy code is the first step in determining the best path for a next-generation ADCIRC. 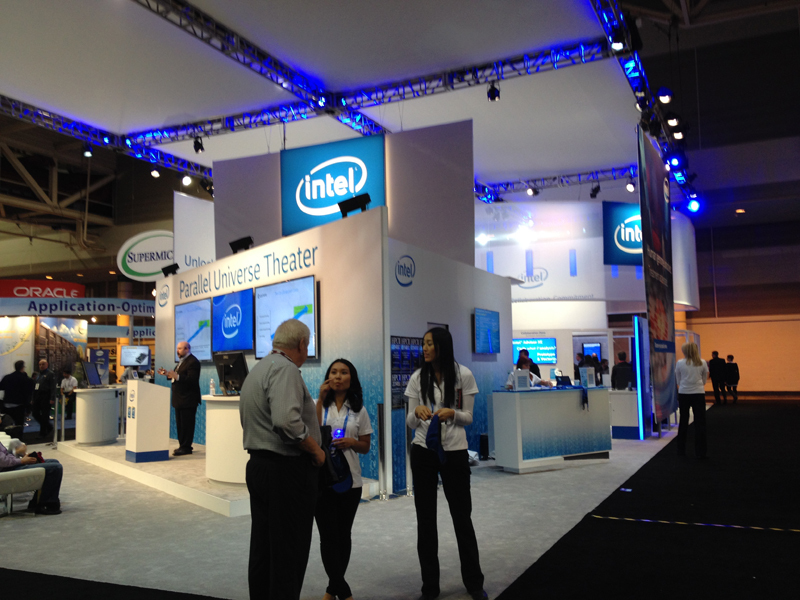 These results were presented at Supercomputing 2014 in New Orleans, LA at the Intel Parallel Universe Theater. The visualization below is generated with an early version of the CERA viewer app, developed by Carola Kaiser. 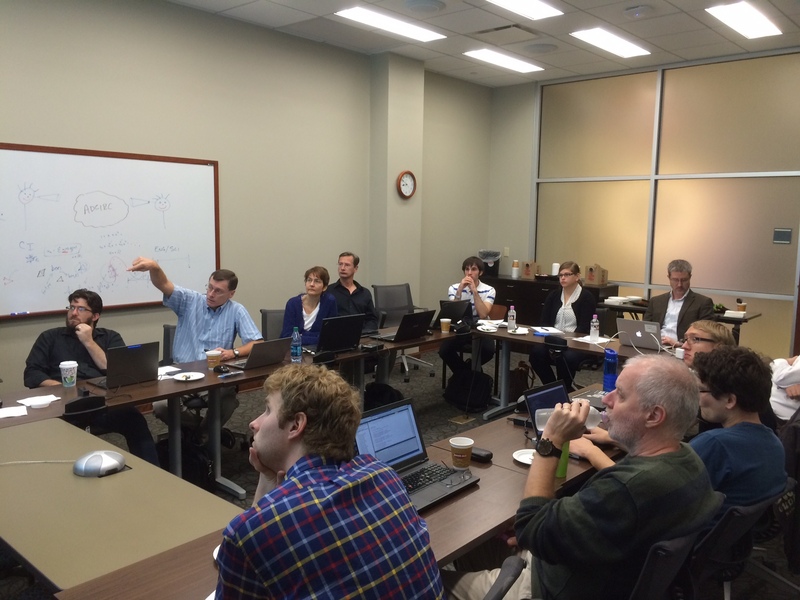 The STORM team held its kickoff meeting at LSU’s CCT on October 21st and 22nd. At the meeting, each participating institution gave presentations on the research that they will be focusing on during the duration of the project. Amongst the topics covered was the proposed software stack, research on DG methods, and improvements being made to the CERA viewer. If you are interested in viewing the presentations yourself, you can find them on the kickoff meeting event page.